We are thrilled to introduce you to Julie!! 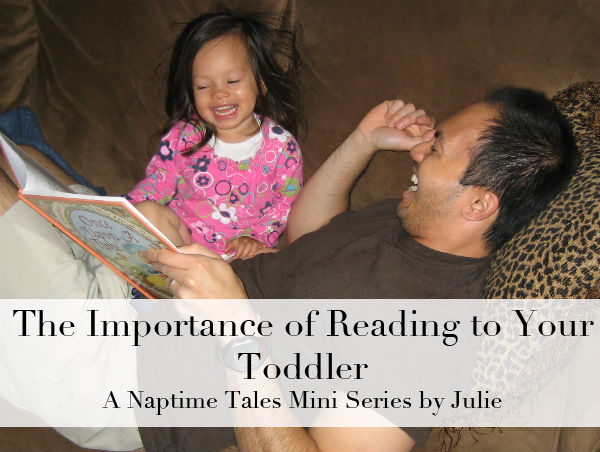 Julie is going to be joining Naptime Tales for this week to share her adventures of exploring literature with her daughter and why reading is SO important. 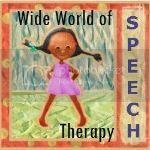 As their little one approaches kindergarten, Julie finds herself heading back to the career world, and blogging about this return at Wide World of Speech Therapy. 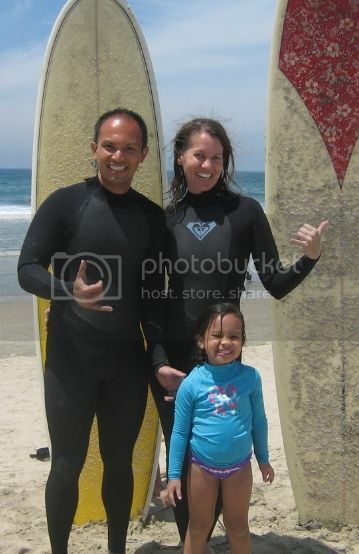 She also chronicles their family adventures at Open Wide the World, a blog about all things multicultural and multilingual. Reading aloud to our children is good for them. Moms everywhere intuitively know it. As a graduate student, I studied it. As a practicing Speech-Language Pathologist, I coached parents on it. The first day my husband returned to work, a week after our daughter was born, I was panicked and on the verge of tears, being left alone with a newborn. Okay, I bypassed “the verge of tears” and went straight to “all out balling,” I admit it. In the coming days, panic was replaced by boredom and loneliness. In the short span of time it took to deliver my baby (actually, labor felt like an excruciatingly long time, right?! ), I had gone from managing a busy therapy clinic where I did “important” work, to spending endless hours alone in a completely unfamiliar, unrecognized role. I loved my daughter, but I wasn’t sure if I would survive the switch. It went on like this for weeks. Then, when Mag was 6-1/2 weeks old, out of sheer desperation to pass the hours, I began reading to her. Of course, at 45 days old, an infant can’t sit up and participate in story time. So I simply laid her on the bed next to me and read aloud the way one does with a toddler at bedtime. Numerous times a day, we resorted to this M.O. Five and a half years later, this story has a happy ending: Mag now loves books and I did eventually grow to love being a SAHM. And you? Did you first read to your children as a compensation for post-partum boredom? Or perhaps you are a wonderful, wise mother who is instinctively drawn to activities that benefit your offspring? In either case, your child can expect great outcomes from your shared reading times. are read to only twice a week or less. who are not being read to. awareness of individual interests in special subjects, like dinosaurs, cats, cars, etc. Wow! Quite an impressive job we’re doing when we’re reading to our kids, isn’t it, Moms? So brush off that library card, take the piggy bank to the book store, and keep reading! Next time: Best practices when reading with toddlers. « IF I had a day in my house alone….